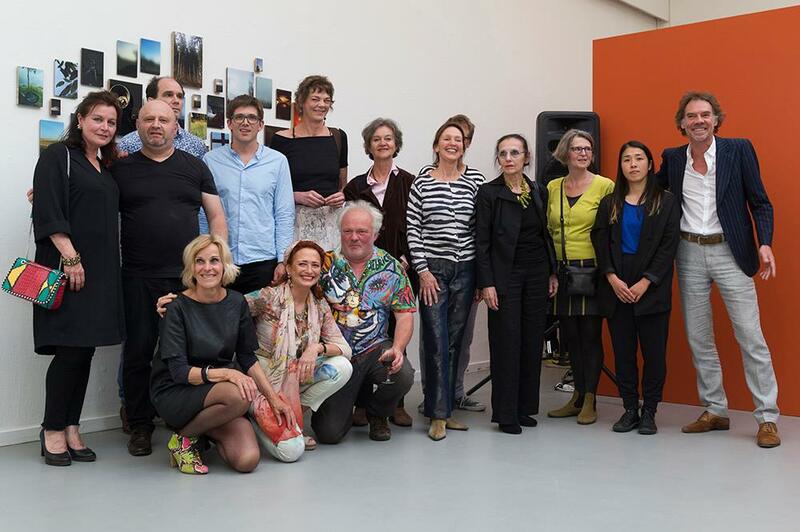 Arti is the oldest visual artist society in the Netherlands where the artists themselves determine policy. Arti’s policies embrace unity coupled with diversity. Our identity as a medium transcending platform leads us to embrace the inherent fruitful characteristics. Tradition is coupled with the experimental, the parochial with the cosmopolitan, the inclusive with the exclusive. 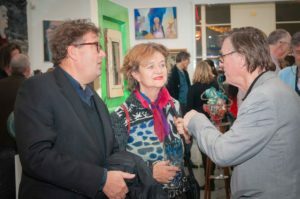 As a lively and stable factor in an unstable (art) world, curiosity, friendship and connecting are key issues for Arti. Arti presents a topical, experimental, high profile exhibition program which includes both local and international subjects. As an artist society, Arti looks for artists who are aware of their roots and their identity: artists who create their own context and follow their own path. Arti aims for diversity in more fields than one. Important in this context are the origin of the exhibiting artists, the multidisciplinary approach of exhibitions and the variety of context within which art originates. Arti considers the safeguarding of artists interests as one of its main concerns. To this end, Arti takes an active role in the political debate about the role of art in society. Members from different disciplines and generations are encouraged to connect with one another. There is a weekly consultation hour which, among various topics, offers guidance about one’s professional practice and how to apply for subsidy. Arti likes to work with fellow art institutions and art schools of diverse nature. Arti and its fascinating history is closely linked to its monumental building on the Rokin. As an independent art platform, our visibility and central location in the heart of Amsterdam is of great importance to us. Securing our home and making it future-proof is a top priority . 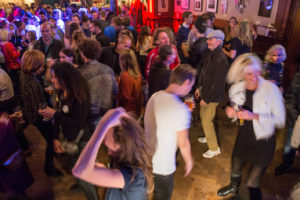 The club offers a variety of activities, exhibitions and parties. It is a welcoming,hospitable place with a tasty and affordable kitchen serving lunch and dinner. It is an ideal place to meet and discuss art in all its facets. 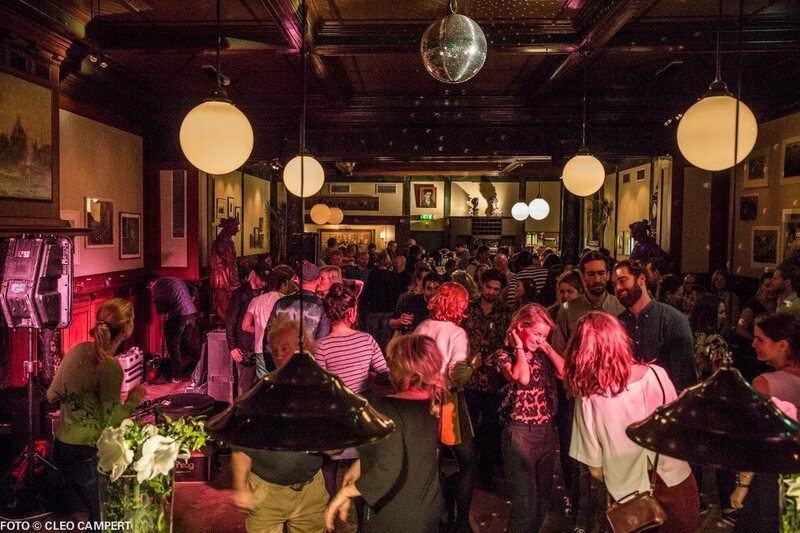 Arti et Amicitiae means art and friendship and is the name of the largest club for artists and art lovers in the Netherlands. The imposing building on the Rokin where the club is located bears the same name. The club’s membership consists of ambitious players from the art world, as well as the cultural, civic and commercial sectors. Becoming a member of Arti is a great way to extend your network. Arti’s beating heart is its clubhouse, with its characteristic furniture designed by Berlage. It is a wonderful place to work in peace or to have lunch with friends or (business) relations. Conversations with fellow members can be engaged in at the bar, the reading table or the billiards table, whilst enjoying a good meal or during one of the many activities. Arti is a haven in the middle of a bustling city. 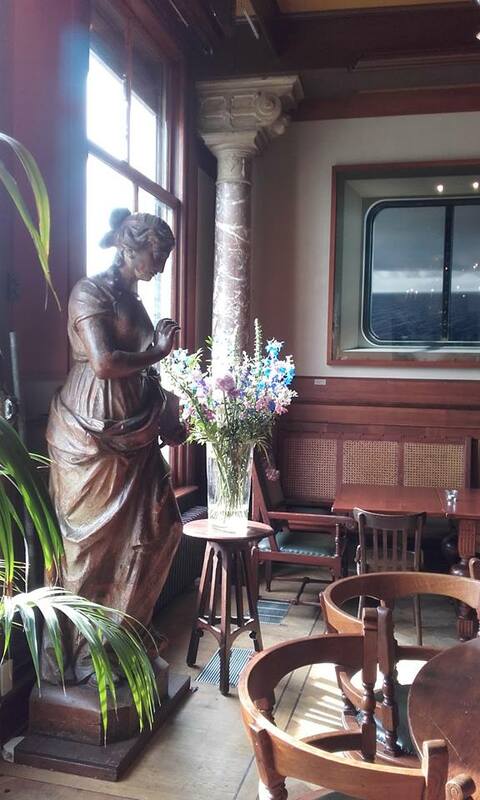 The famous history of the club can be felt in the clubhouse, where contemporary art contrasts with the classical decor. On beautiful days the doors to the street are thrown open and sounds from the city drift into the elegant hall. Arti is open to the public every day from 12:00 to 17:00, for lunch or to visit exhibitions. From five o’clock, Arti is open only to members and their guests, with the exception of openings, parties and receptions. Developments in the visual arts are important to Arti. Contemporary and often groundbreaking exhibitions are held in Arti’s grand rooms. Curators and artists themselves can submit plans for shows (see submitting an exhibition application). Examples include the Start Up prize exhibition, Cartooning Syria and Languitecture. Traditionally, a number of times a year, the exhibition rooms are reserved for members only. Every year, Arti organises ‘New Member Exhibitions’ and ‘Salons’ in which all Arti’s artist-members can participate. Check the homepage for the full calendar. 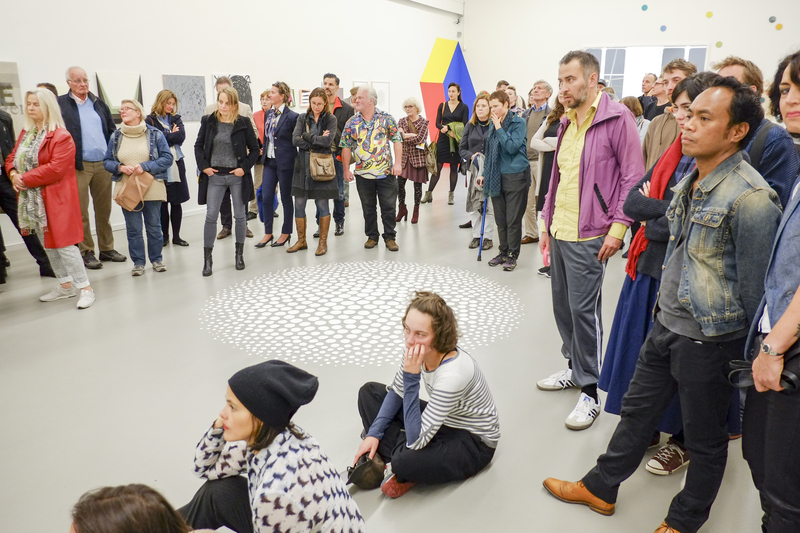 Every month, Arti presents an extensive programme of lectures, dances, concerts and art-related lectures and conferences. These events are most often free of charge for Arti members. Check the programme on the homepage. In 1839, the idea for Arti et Amicitiae was born in Artis zoo. Natura Artis Magistra, a private initiative of practitioners in the natural sciences, opened a new building for its collection of stuffed animals. Everyone who was anyone in Amsterdam was invited. This opening gave two guests, architect Tetar van Elven and engraver Taurel, the idea that artists, too, could unite. Together with painters Pieneman and Kruseman, and sculptor Royer, they founded Arti et Amicitiae. They were all very succesful artists at the time and were appointed directors of the academy by King Willem I. 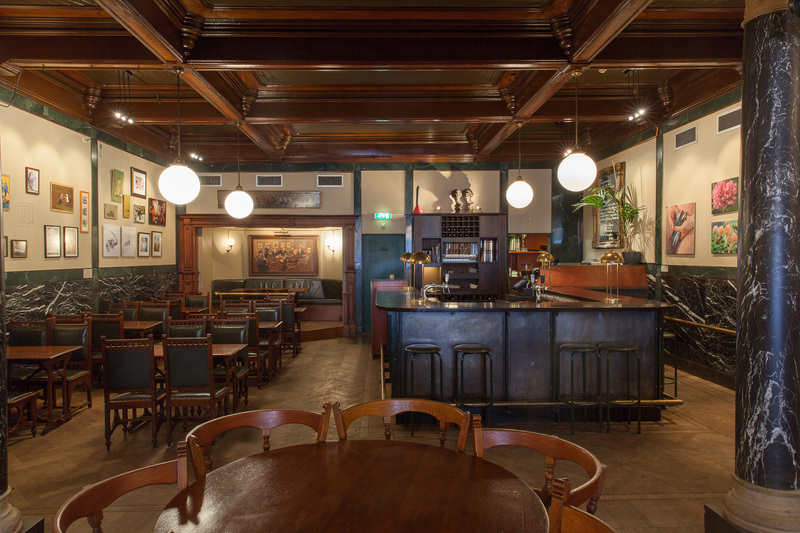 On the third of December 1839 the club was officially founded in coffee house De Karseboom in the Kalverstraat. The founders had three goals: promoting the arts, improving the social and economic position of artists and facilitating the mutual fraternisation of artists. ‘Art and friendship’ was the password with which invitees could get into the meeting. The club’s slogan was ‘equality, opennes and good cheer’. Arti was the first club in the Netherlands run by artists. The stately building reflects the improvement in the status of artists in the 19th century. In 1893/1894 the building’s layout was changed under the supervision of H. P. Berlage and A. C. Bleys. The clubhouse on the ground floor dates from that time, the fireplace, done in the style of the seventeenth century, was designed by Bleys. The wooden ceiling, divided into sections, is painted with ornaments. The stairwell and the hall were largely designed by Berlage, as was the varied furniture in the clubhouse, which is in daily use up to the present time. Both the Arti exhibition rooms and the clubhouse are available for private functions. 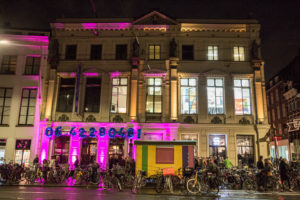 Arti regularly offers space to organisations such as the IDFA documentary festival and the Buning Brongers foundation. The beautiful rooms are also available for exhibitions, meetings, lectures and presentations. The clubhouse is excellently suited to hosting receptions, lunches, dinners and parties. Arti members are welcomed at affiliated art clubs upon presentation of their Arti membership card.